Nikon has unveiled two superzoom compacts designed with the needs of travel, sports and music concert photography in mind. 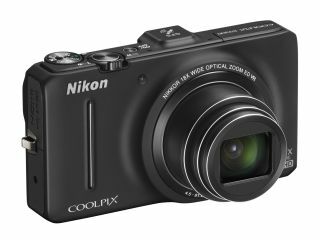 Both the Nikon Coolpix S9300 and S6300 offer high-resolution 16MP CMOS sensors, extensive zoom ranges and Full HD shooting. UPDATE: Our Nikon Coolpix S9300 review is now posted. The 16-megapixel S9300 packs a wide array of features into a camera body that's just 30.6mm at its widest part. Chief of these is the 18x optical zoom, which offers an equivalent focal range of 25-450mm. A far-reaching lens like this needs is ideal for travel photography, but it needs to be stabilised to ensure sharp shots. The S9300 includes lens-shift Vibration Reduction (VR). In-keeping with the travel photography theme, the S9300 also has built-in GPS for tracking your route and tagging photos at any point. Other notable features include a new 3-inch 912k dot LCD with clear colour technology, Easy Panorama mode that automatically stitches horizontally or vertically panned shots, and 1080p movie recording. The latter enables you to pause between clips while filming, but creates a single movie file for smooth playback. The S6300 offers a slightly more modest 10x zoom and a 16MP CMOS sensor. This is backlit too, meaning it can increase the amount of light it captures and in theory put in a better performance when light levels drop. Aimed at photographers who want to 'have fun with their photography', the S6300 offers a 3D photography mode. This combines two images taken from different positions to create a picture that can be viewed on 3D TVs and monitors. The S6300 also incudes one-touch Full HD movie recording, 19 scene modes and in-camera filter effects. The Nikon Coolpix S9300 UK release date is15 March, with pricing around £299.99. It will be available in four colours: red, silver, black and blue. The Nikon Coolpix S6300 UK release date price is 16 February and will cost £179.99. It will also be available in black, red and blue.